Beatrice Price is a Colorado native and grew up in Golden. After graduating from Metropolitan State University with a Bachelor of Science degree in Marketing, Beatrice went to work for BetaWest Properties, the real estate subsidiary of US WEST. She managed the public relations and marketing department and from there went on to work as Marketing Director for Lantz-Boggio Architects. It was about that time that she and her husband Brad decided to start their family and look for a smaller community to raise their children. They built a log home north of Cotopaxi, Colorado and moved off the grid in 2000. Being so close to Salida, Beatrice would visit Salida for grocery shopping and bring her children to play groups and other recreational events so it made sense to move to Salida and enjoy more of everything the community had to offer. “Salida reminds me of what Golden was like when I grew-up there,” says Beatrice. She enjoys hiking, mountain biking, gardening and spending time with her friends and family. 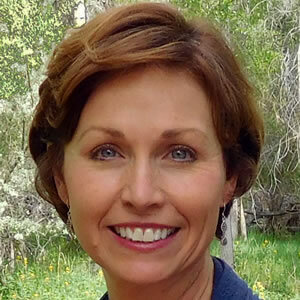 After they moved to Salida, Beatrice taught Business at Cotopaxi High School for a few years and served on the school board of the Salida School District and is now on the board of the Chaffee County Visitors Bureau. Beatrice chose to work with First Colorado Land Office because of the integrity of the people and commitment to its customers. She looks forward to helping people achieve their real estate goals, whether it be a first time home buyer or an investor.